Slime is an addictive survival game by Umbrella Games. Danger is lurking in every corner and no Slime is safe. 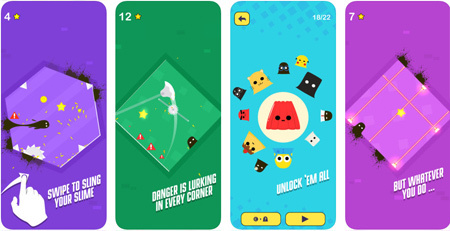 Swipe to sling your blob away from sharp blades, missiles, lasers. Don’t get smushed and try to survive the dangerous box as long as possible. The game features clean cartoon graphics and cool sound effects. If you get stuck in the game, check out the video walkthrough and gameplay for the game. This entry was posted in Android Games, iOS Games, Mobile Games, Walkthrough and tagged Slime Cheats, Slime Gameplay, Slime Guide, Slime Hints, Slime Review, Slime Solutions, Slime Strategy, Slime Tips, Slime Walkthrough by Marvin. Bookmark the permalink.